It feels like yesterday when Jared and I were at the Housewares Trade Show in Chicago, IL. I was running down the aisle in four-inch heels, running after a buyer who was wearing a Home Depot name badge. I couldn’t let him see me chasing him down the aisle, but thought this was my only chance to show this person our invention. He had hurried past our booth as Jared was talking with another retailer. I didn’t get a chance to stop Home Depot as he was passing, by so I took off after him. Once I passed him, I stopped and started to look around, pretending I was looking for someone. As he approached me, I was able to read his first name and called out to him by his name. He looked up and I said: “Can I please show you my invention?” Technically, it wasn’t my invention, but it sounded good and I’m married to the inventor so it’s kind of the same thing, right? He listened to my pitch, said it was a great idea, but he is not the buyer for that area. I said: “No problem, but you may know someone that knows someone, do you mind if I grab your card and follow up with you?” Done! 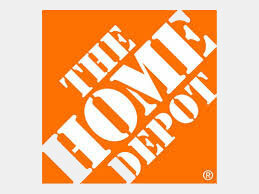 It was that simple, I finally had some name and some email address of someone at Home Depot. After the show, I followed up with my contact. Unfortunately he didn’t know who to refer me to, and I was back at square one. However, we didn’t give up. In the following months, we met many other buyers at trade shows. We made connections at The Container Store, The Grommet, Brookstone and more, and collected enough business cards to get started. During May 2014, we decided to attend the Hardware Show in Vegas because that’s where all the big-name stores – including Home Depot, Ace Hardware and Do It Best – go. To my surprise, I ran into a high school friend who just appeared on Shark Tank. After I said hello, his Home Depot buyer came by and I was able to get another Depot business card. I again followed up and – ding, ding, ding – we had a winner. I was introduced to the picture-hanging buyer Christopher (who is no longer in that department). Christopher requested a sample and I remember telling Jared: “It’s now all up to you. I chased, I emailed, I called, I followed up, I pitched, I sent pricing and now the sample is on its way and now it’s all in your hands of your invention. The decision is now on product”. Two weeks later, Jared and I were making breakfast when my phone beeped. It was an email from Christopher. I thought this was it we were in like Flynn. Instead the reply read something like this: “Thank you for the sample great product, but I am no longer in charge of the picture hooks department.” I seriously wanted to cry. After all that work, he got moved and his position wasn’t replaced. But I didn’t stop there. I suggested placing our product online and he responded pretty quickly with the person in charge. To make my story short, I contacted that person and a few weeks later, she got moved. I was back to square one yet again, until a new person came on and finally put our product on HomeDepot.com. That process took 6 months. The entire process from start to finish was 14 months before we saw Hang-O-Matic on homedepot.com. Needless to say, we were overjoyed to have started the journey with Home Depot. But as the weeks went on, there weren’t any orders. Then again, how could there be? It wasn’t like there was a huge billboard on the freeway that said Hang-O-Matic was available on Homedepot.com. Jared had invented a product that didn’t yet exist, so a customer wouldn’t know to visit Home Depot website in order to buy it. We needed to make things happen in order to prove to the store buyer that it would sell. We did a few targeted Facebook ads to get things moving and, sure enough, orders started pouring in. Another two years passed, and I found a new buyer who would never write me back. We had proof of sales online, we had proof of sales in other stores, and didn’t understand why the new buyer wasn’t responding. In mid-2016, we were presented with an opportunity to get Hang-O-Matic into another big box store. We decided to sell our dream home to keep funding our business, rather than take on an investor that would only act as a bank account. We moved to a new city and, our next-door neighbor stopped by to say hello. It just so happened she was a manufacturer’s rep. She said she had a close relationship with Home Depot and could help get our product in there. It was music to our ears, and what were the odds that our new neighbor would be a rep? A few weeks went by and, again, there was no response. The thing we learned from this experience is that buyers have a high turnover and they don’t make product changes in their department every day. It’s all about the space and when they’re reworking their shelves. It’s all about the timing. If Jared hadn’t gotten that bug to message the new buyer himself, we would have missed it. It was the perfect day, the perfect time, and perfect weather. He flew to Home Depot headquarters and presented the Hang-O-Matic to 10 people around a table. He had printed a power point, which wasn’t really used and flew home back to the waiting game of the decision, which took another month. From there, it took another eight months to receive 18 PO’s. It was long three full years from start to finish. We never gave up and continued to follow up. If you want something bad enough, write it down and focus on your goal. This entry was posted in Blog and tagged home depot, how to become an entrepreneur, how to get into home depot, how to hang a picture, the home depot. family of a young girl who was killed by an Uber driver while crossing the street. of immediate danger and calling 911 if anyone has been injured, remaining at the scene and sharing insurance information with any other drivers who were involved, calling the police if the accident is serious, and reporting it to your insurance company. Greetings from Florida! I’m bored at work so I decided to check out your site on my iphone during lunch break. I love the information you provide here and can’t wait to take a look when I get home. I’m surprised at how quick your blog loaded on my cell phone .. I’m not even using WIFI, just 3G .. Anyways, great site! 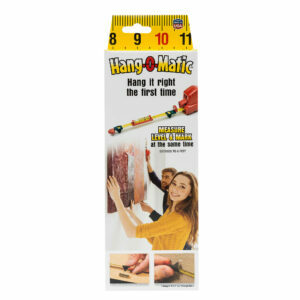 Thanks for finally writing about >How we got Hang-O-Matic into The Home Depot – Hang-O-Matic <Loved it! to keep in mind of. I say to you, I definitely get irked whilst people think about issues that they just do not know about. I wish to get across my admiration for your generosity giving support to persons who should have help on in this area of interest. Your special dedication to passing the message along came to be extremely powerful and have helped professionals much like me to get to their desired goals. Your entire interesting guideline can mean a lot a person like me and much more to my office colleagues. Regards; from all of us. I and also my buddies were digesting the good guides located on your site then unexpectedly got an awful suspicion I never expressed respect to you for those tips. The boys were definitely as a result glad to read through all of them and have definitely been making the most of those things. I appreciate you for simply being simply helpful and for picking out certain extraordinary guides most people are really wanting to understand about. My personal honest regret for not expressing gratitude to you sooner. I am just writing to make you understand of the fine discovery my girl encountered studying your blog. She even learned plenty of details, which include how it is like to possess an excellent giving nature to have other individuals quite simply completely grasp chosen tortuous matters. You truly did more than readers’ expectations. Thanks for rendering the priceless, dependable, edifying and easy tips on your topic to Emily.